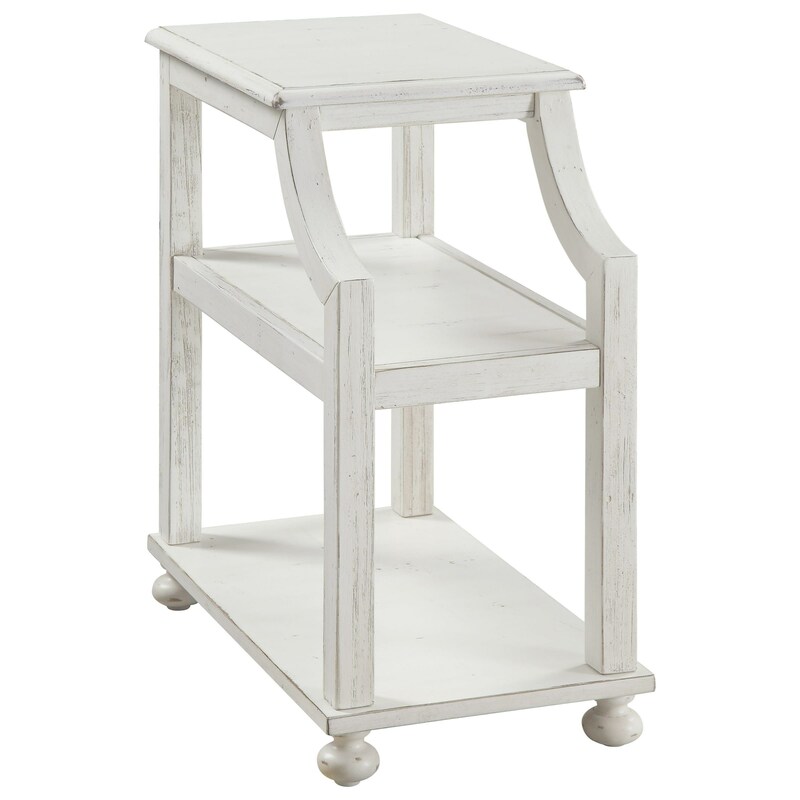 Lakeside, seaside, or country retreat, this Chairside Accent Table in our airy Lilith White Rub is a must! Whether in your kitchen, sunroom, or bath, the two lower shelves are just right for holding a basket of rolled towels, or your favorite cookbooks. Just add a lamp or maybe that antique cookie jar to the 3/4 top, and see how it shines! The Coast to Coast Accents Chairside Accent Table by Coast to Coast Imports at Great American Home Store in the Memphis, TN, Southaven, MS area. Product availability may vary. Contact us for the most current availability on this product.